There is nothing more profoundly Greek than the image of a native sipping a cup of “Ellinikos” at a traditional coffee place. 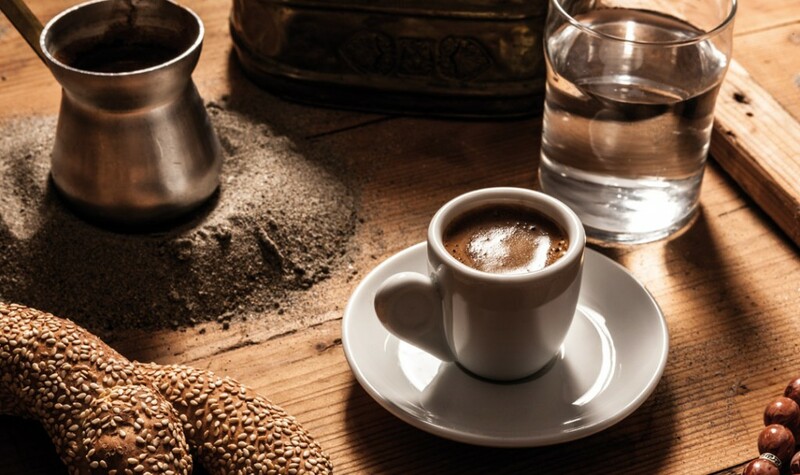 As of 1760, when the habit of drinking coffee had invaded most Greek homes; being inseparably linked with customs, tradition and religion, it has never gone out of fashion. 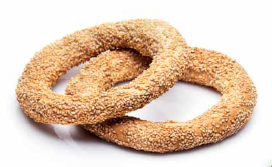 “Ellinikos” is often accompanied by “koulouri”, a traditional sesame bread ring. Komboloi (a string of beads made of amber or coral) is part of Greek tradition. It appeared during the Ottoman occupation of Greece and was adopted by the Greeks after the fall of Istanbul in 1453. It manifested as a way to react against the Ottomans who threw away their rosaries when a bead was broken. Greeks would use the thrownaway beads to make the komboloi, and in so doing mocked their conquerors’ religion. Over the years, komboloi became a habit. Originally, it was used by prominent lords and landowners as a status symbol and later it was adopted by all social classes. Between the 1950’s-1970’s, komboloi became associated with toughness and streetsmarts. Today, it is used as a way to pass the time, relieve stress or as a diversion from smoking, and many Greeks display it in their homes, as a decorative item. MOST COMMON AND POPULAR BREAKFAST FOR GREEK PEOPLE. Dating back to the era of the Byzantine Empire, the first reports of koulouria came from the region of Epiros, in northwest Greece, but nowdays they can be found everywhere in the country. A Greek koulouri is made of flour, water, yeast, salt, olive oil and plenty of quality sesame. It is a healthy traditional snack that combines high nutritional value—being rich in carbohydrates and energy—with low calory intake. In recent years, traditional Greek sesame-crusted bread rings can be accompanied with either sweet or savoury flavours.